Today I am very excited because So-Saree features its first male guest post contributor. Paras Masurekar is a friend of mine whose passion for photography shows on his Facebook wall. 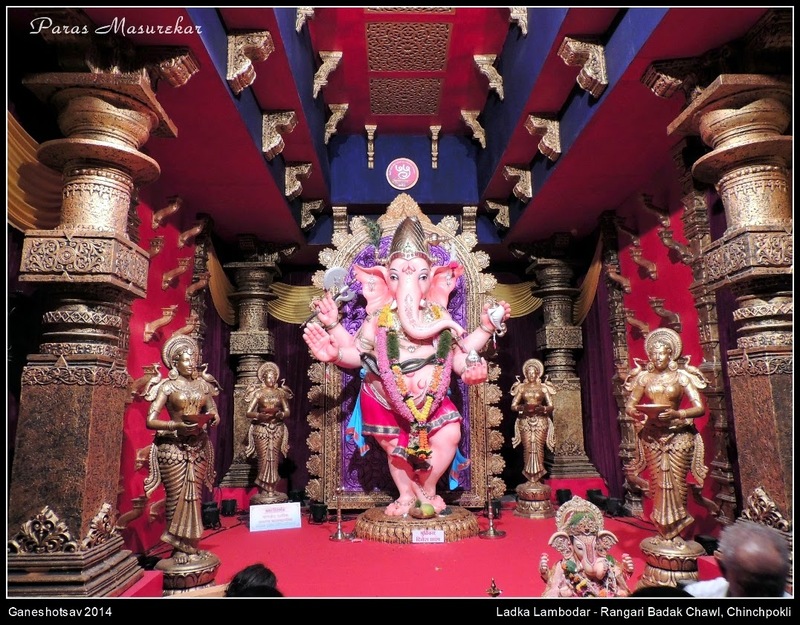 But this time, the pictures on his Facebook wall caught my attention because they featured pictures of as many as 100 Ganpati Pandals. Phew..can you believe that? So I asked him if he would like to share his pictures with So-Saree's readers, and he said Yes. 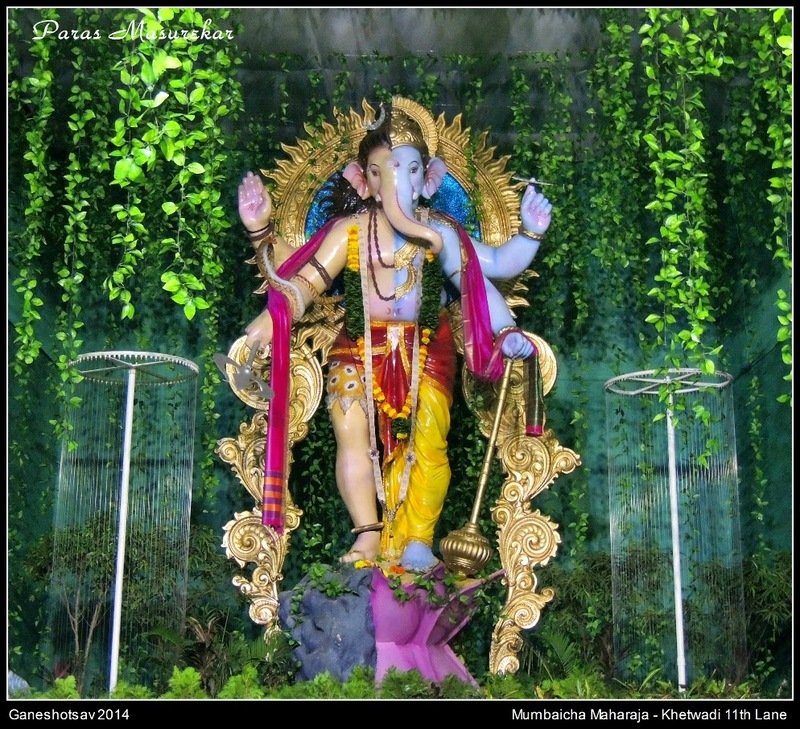 But guess what, along with the pictures, he typed down a few lines about his love for Bappa and photography along with noteworthy peculiarities of some of the Ganpatis. 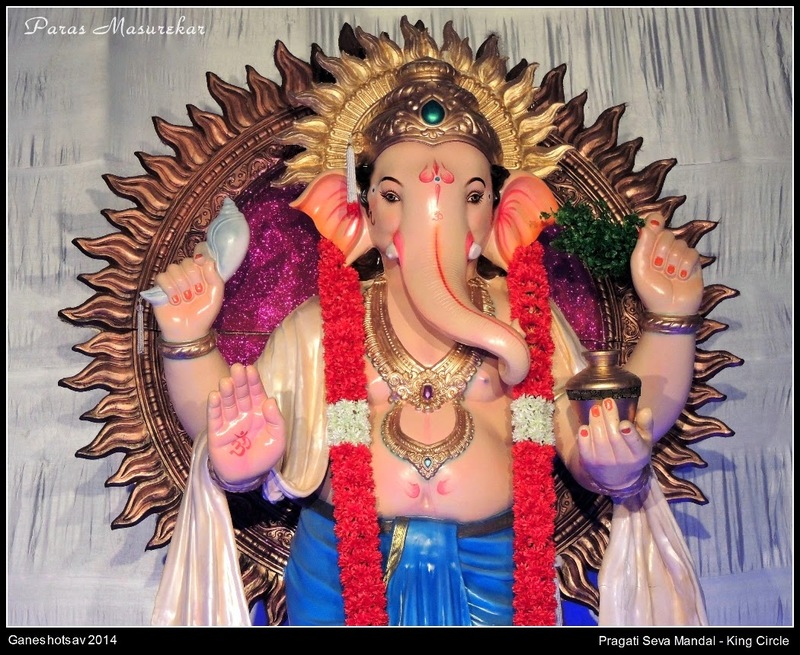 The Bappa Series will be divided into three parts. Hope you enjoy it as much I enjoyed compiling these posts. 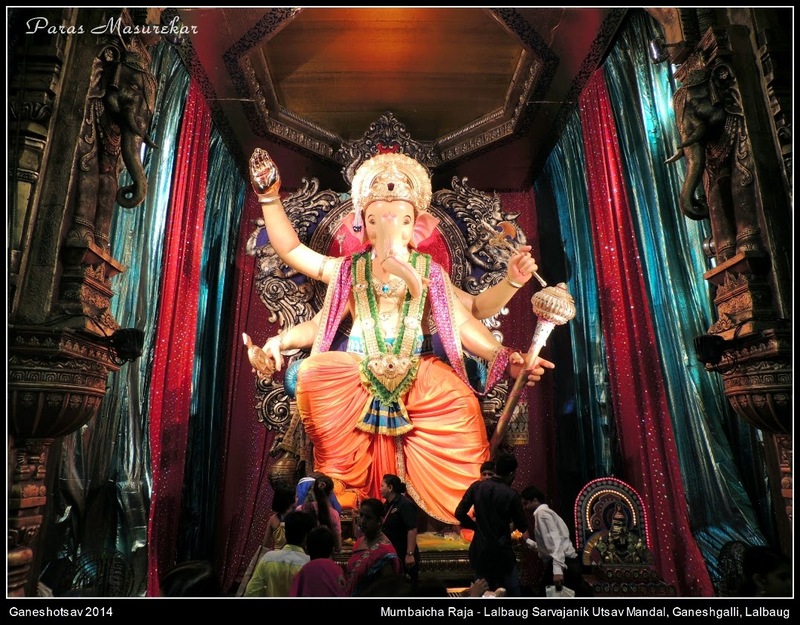 The renowned mandals of Mumbai are a must watch during Ganeshtosav. 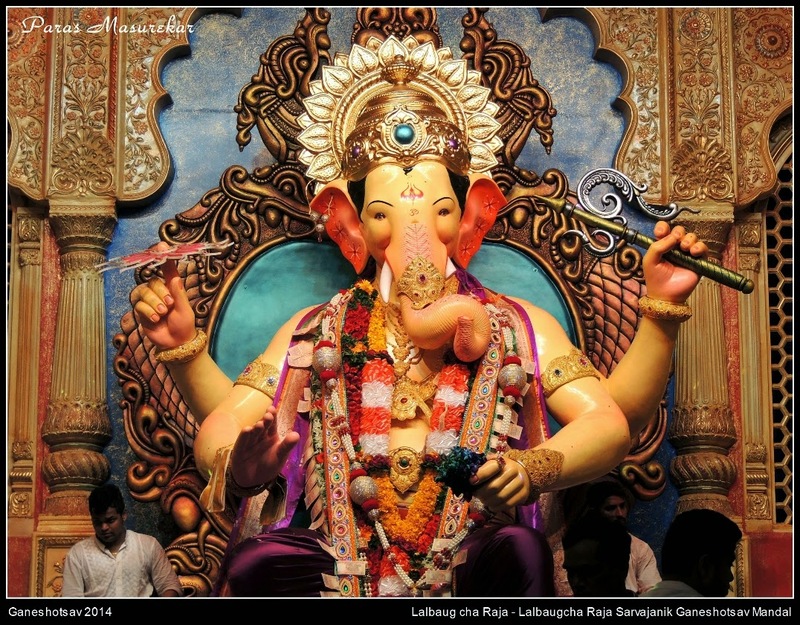 Both the GSB ganapatis (King Circle & Wadala) are the richest ones in Mumbai. 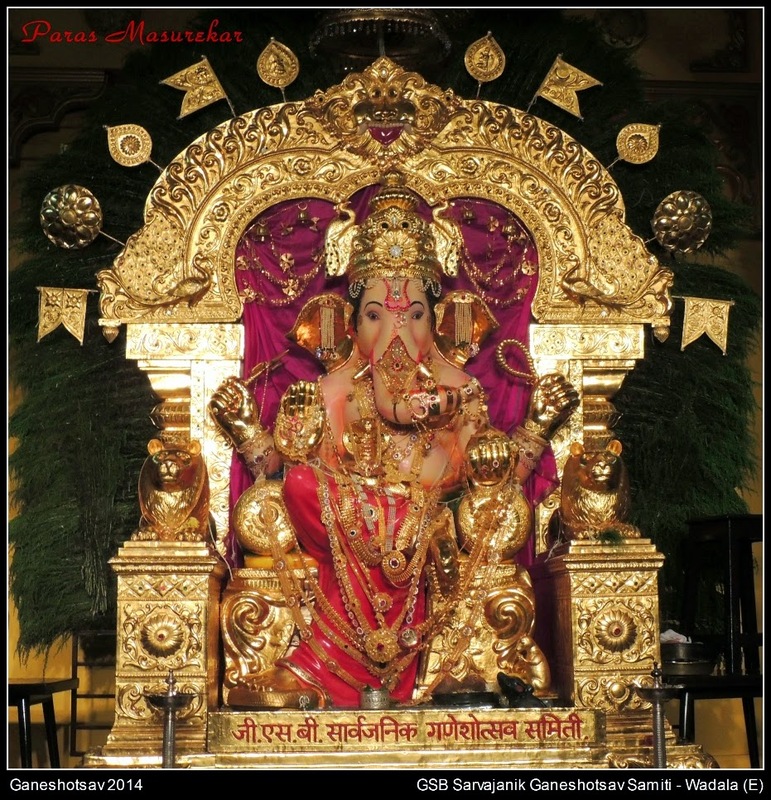 The King Circle idol has gold worth almost 22 crores & had taken a insurance of 260 crores this year for the festival ! 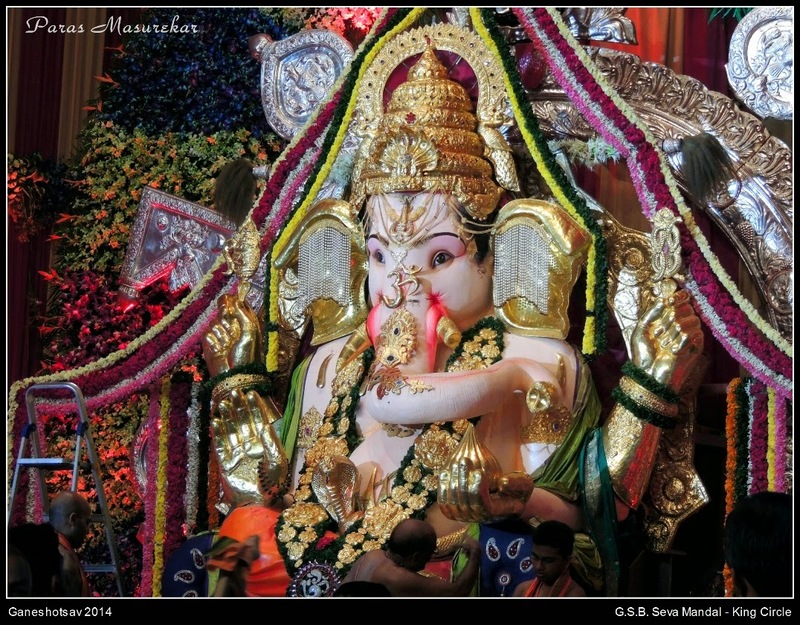 The Khetwadicha Raja - Khambata lane Ganesha idol this year was 27 feet tall ! Girgaoncha Maharaja of Akheel Mugbhat S.G.M. 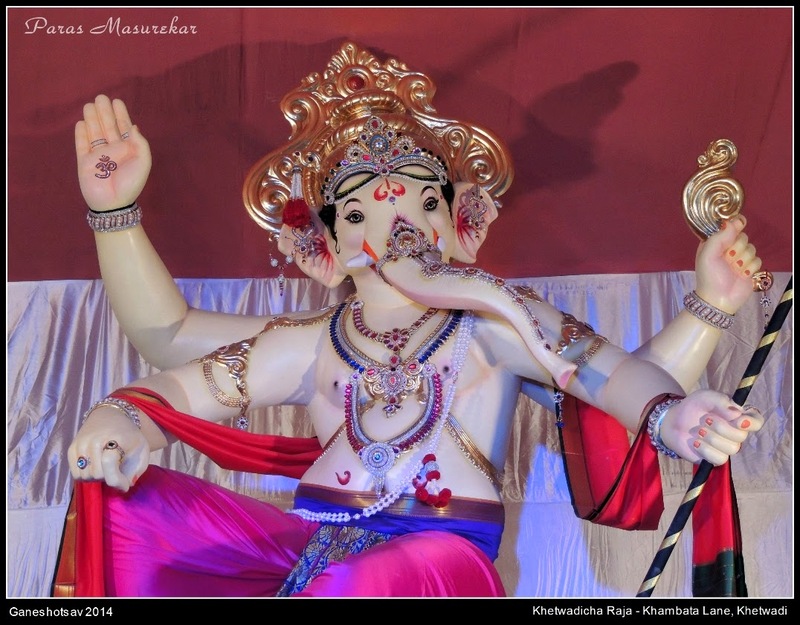 had a 21 feet idol made from clay (Shaduchi maati) and therefore is the biggest eco-friendly idol ! 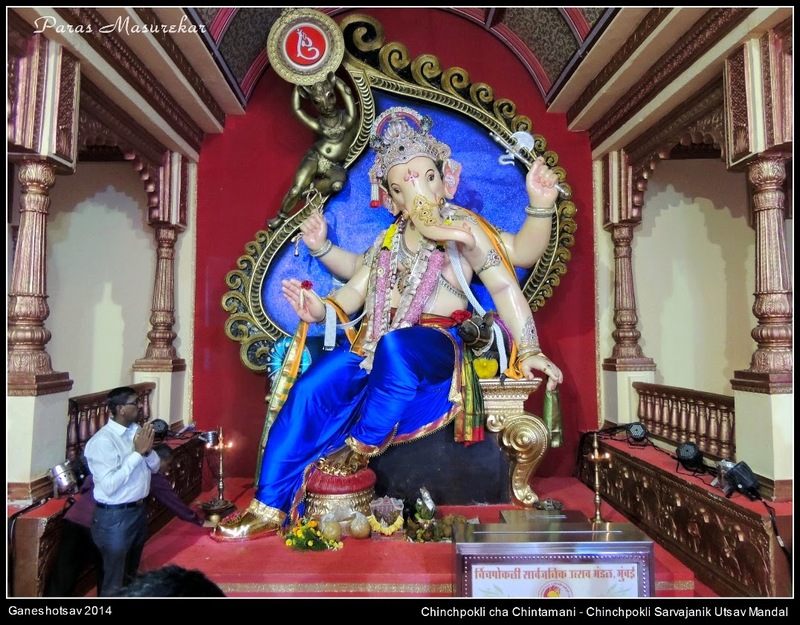 The small yet beautiful Ganesha idol of Keshavji Naik Chawl in Girgaon is the 1st sarvajanik ganeshotsav mandal of Mumbai and is in its 122nd year now ! The mandals of Lalbaug & Parel have their own reputations which almost everyone is familiar with. 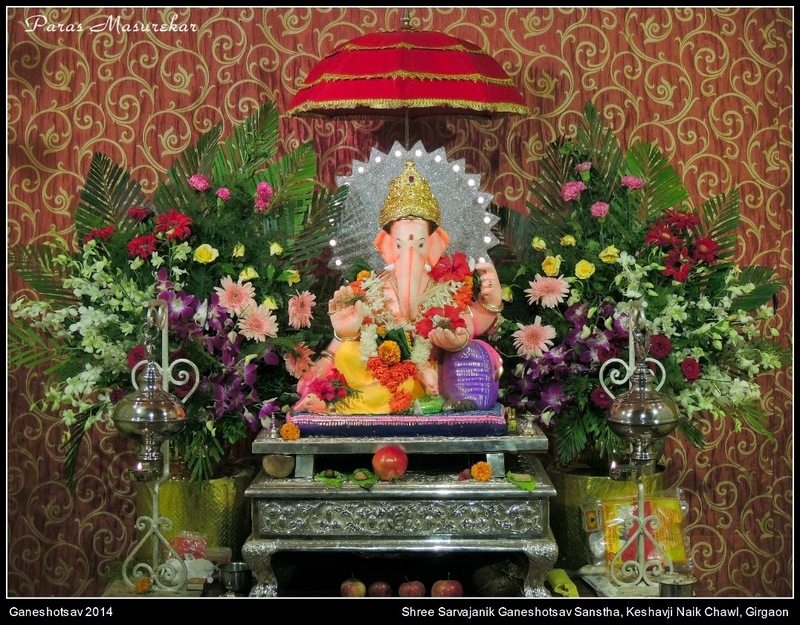 Other than that...some famous and beautiful Ganeshas. Thank you Rosh. Even I feel very bad when the 11 days festive ends, but what I always feel is that the festival conveys a message to us. 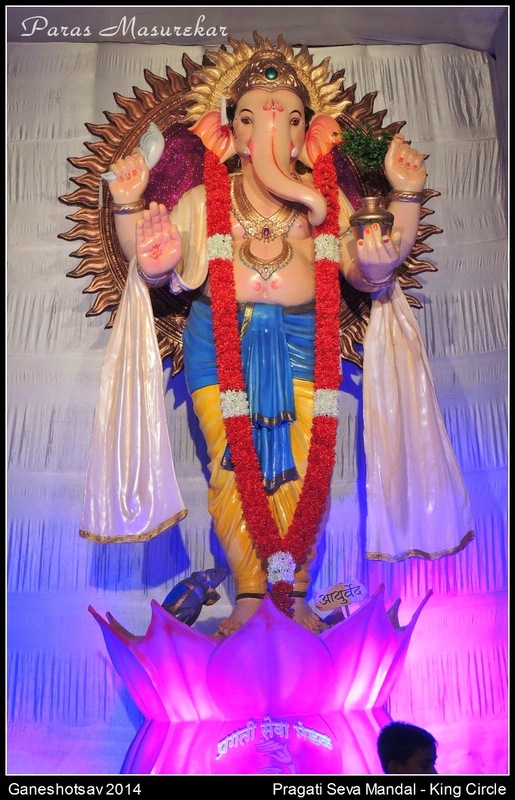 yes Ms. Pooja do plan a visit to Mumbai during Ganesh festival and see by yourself the non stop enthusiasm of people during this 11 days festival. 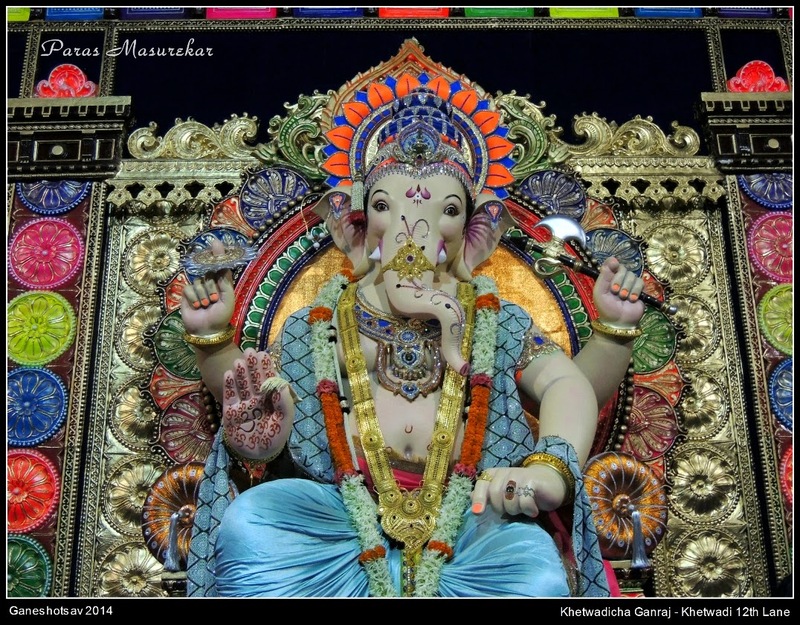 These Ganpati Mandals are so beautiful. Look forward to reading about the eco friendly Ganpatis. I miss festive season in India. Thank you for sharing these pictures. Thank you Ms Seepika. 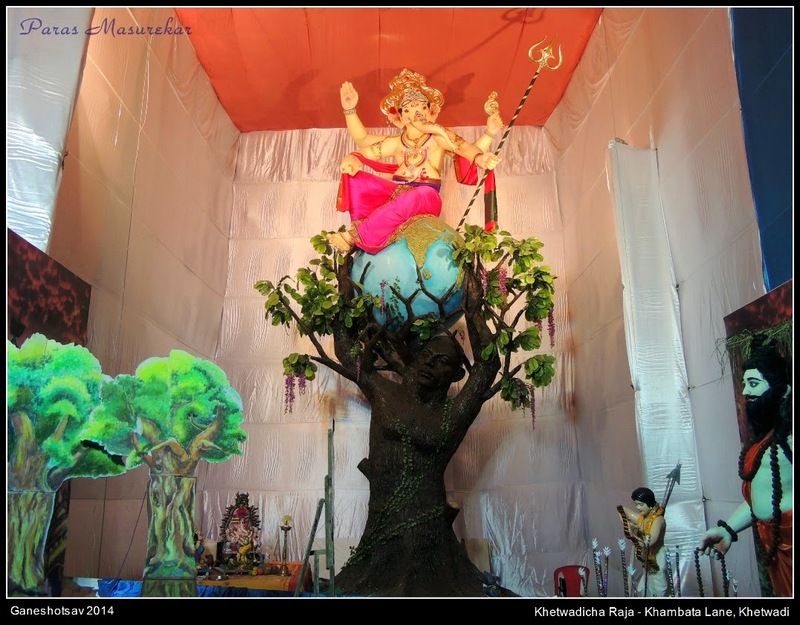 The eco friendly Ganapati post is available now for viewing. 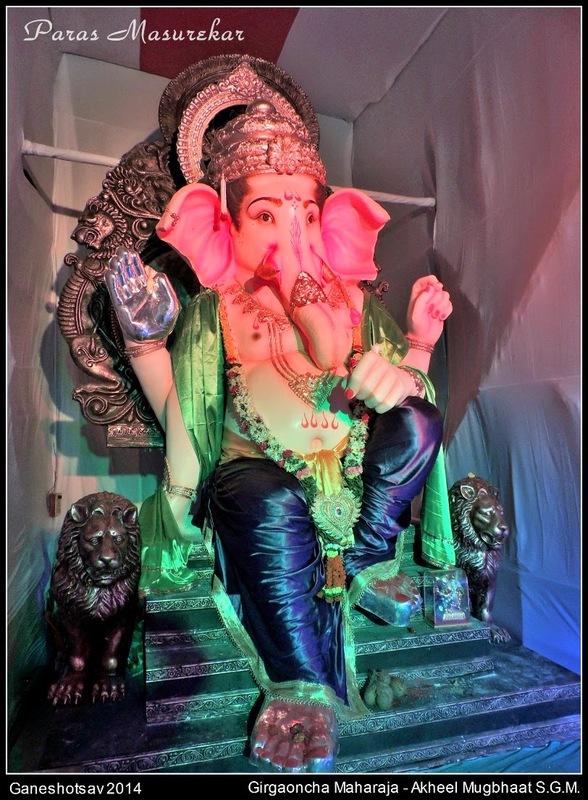 Hope you enjoy the Eco Friendly Ganesha too. Awesum photography and lot of patience!!! We look forward to see thm next yr too!!! Thanks for the compliments Vrushali. Yes indeed, it does takes a lot of patience to visit as many pandals as possible in a limited period, but when you are obsessed with something, its the adrenaline rush in your body that keeps you going. 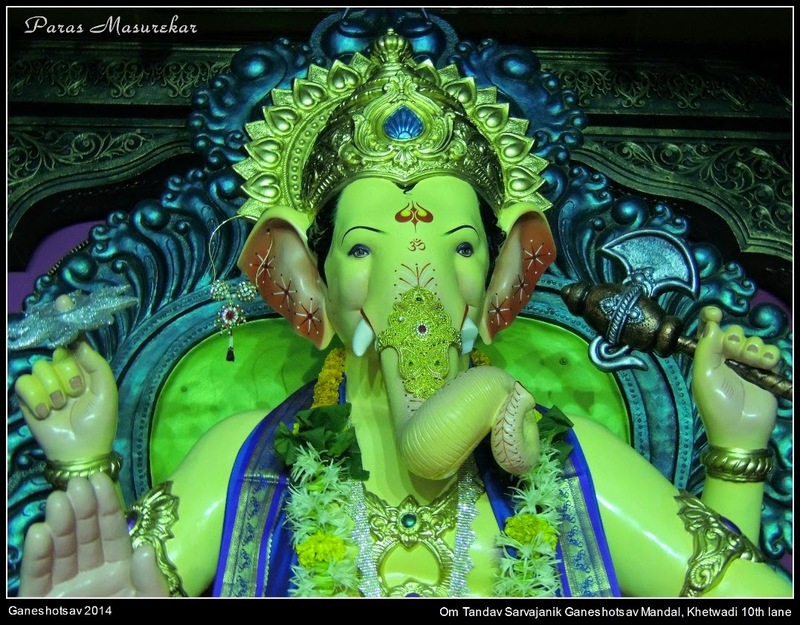 With the blessings of Lord Ganesha I will definitely keep clicking his photographs every year.